Home Tags Posts tagged with "huatulco real estate"
There come those days in life when one can’t help but daydream of a luxurious oceanfront villa on a private peninsula surrounded by natural beauty and the sound of waves on a powdery beach. This is your slice of paradise, one that promises convenience and tranquility, sun and luxury. Just imagine you and your loved one waking up to a color-rich sunrise, whipping up a tasty breakfast with locally grown ingredients, playing in the warm waters of your private infinity pool and jumping into a wide variety of cultural activities, such as open-air market shopping, day trips, surfing and bird watching. You can have all of this (and more) with the low oceanfront prices that Huatulco Mexico has to offer! No more vacation rentals or resort stays for you. 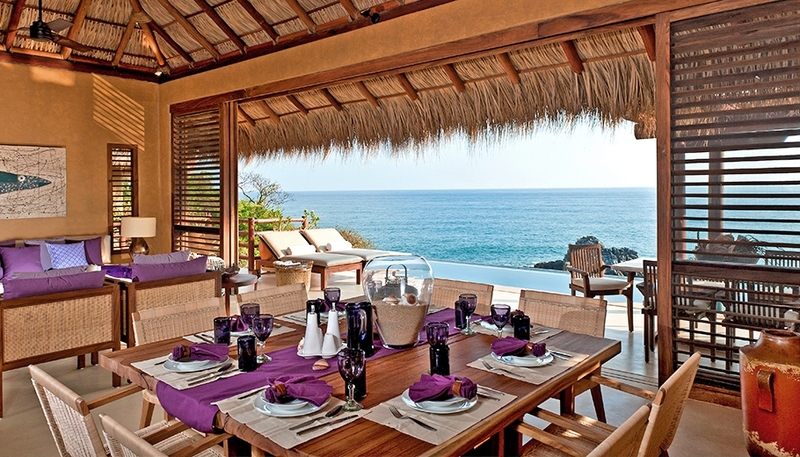 You can now own that slice of paradise in one of the best areas of Mexico: Huatulco. Mexico has long been a popular holiday destination for North Americans. Today, it’s become a desirable place to retire and invest for expats who want to create a whole new life for themselves, build new relationships and immerse themselves in a new culture. After the global economic crash, Mexico wasn’t as impacted as other nations. Its economy was strong, and it’s been on an upswing ever since, especially in regards to real estate investments. High-end oceanfront villas and condos continue to be affordable for the average investor. Plus, the Mexican government facilitated the buying process. Foreigners were able to buy and sell property using a special real estate trust called fideicomiso. It allows titles to go to foreign investors, whereby allowing the property to be sold, transferred and willed. This is great news for investors who see the beauty and potential of Huatulco Mexico. 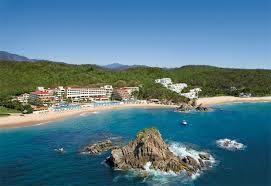 Huatulco Mexico is a gem, snuggled along the coast of Oaxaca State and the mountains of the Sierra Madre del Sur. With 9 bays and 36 beaches, Huatulco is a great place to play and explore. The four main parts of Huatulco are Tangolunda, the area where the upscale resorts are located, Santa Cruz, a quaint area with a marina and the stopping point for cruise ships, La Crucecita, another small town just inland from the beach area having a more genuine Mexican ambiance, and Chahue, an area between Santa Cruz and Tangolunda. This area has everything the big resort towns have but with a small town appeal. Right now, the Huatulco real estate market is thriving. The market still offers low oceanfront prices on villas, houses and condos. These must-haves come with a vivid views and high-end amenities designed to cater to your lifestyle, privacy preferences and proximity to a quaint community. If you’re in the mood to build your dream home, that’s even better. Huatulco Mexico has plenty of room to offer to those who are looking for the low oceanfront prices on land. It’s the perfect time for financially-savvy investors to cash in, and it’s easier than ever. But don’t worry, buying Huatulco property isn’t complicated. Our Own Mexico team will walk you through the entire process. We’ll start with our Stay and Play option and listen to what you want and need. We’ll do our best to show you options that will meet your needs and wants, and if you fall in love with a piece of property, we’ll be there to help every step of the way. If you’re ready to buy your own piece of Huatulco paradise, then contact us today. We can help you find the low oceanfront prices you’re looking for as well as the appealing amenities that make living in Mexico that much more of a paradise. And if you’d like to learn how to get more bang for your buck, relocate to Mexico and be a successful expat in Mexico, then check out our helpful how-tos. Investing in Huatulco real estate can be a dreamer’s reality. 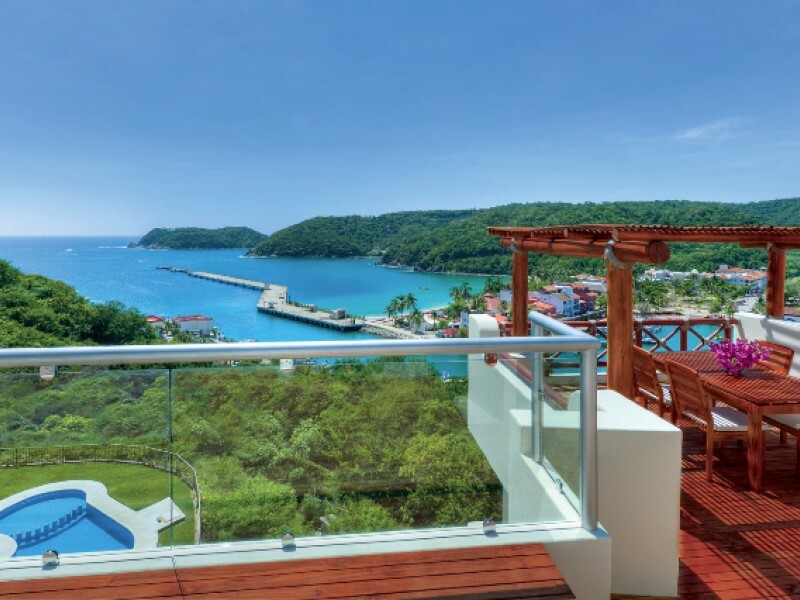 If you’re thinking of investing in beachfront villas, luxury condos or land for sale, here are 9 reasons why you can become a “Huatulco Real Estate Dreamer” today. Because of Huatulco’s southern location, visitors and residents enjoy sun 340 days of the year. Daytime temperatures average around 28-30 C (high 20s from April through August, low 30s in March and September and high 20s from November through February). Huatulco is in the tropics. So if you don’t mind humidity and rain from May through October, you’ll be in paradise. Huatulco Mexico is a “paradise-come-true” for those who can’t get enough of the rugged mountains framing the long stretch of Pacific shoreline. 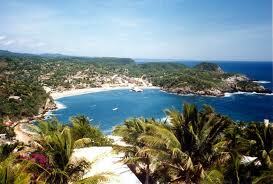 Located in the southern state of Oaxaca, Huatulco is a relatively newly developed destination. It still has a plethora of beachfront villas, luxury condos and oceanfront land just waiting to be scooped up by savvy investors. Huatulco is environmentally sound with a number of development-free ecological reserves. It also has systems in place that reduce waste as well as greenhouse gas emissions and increases natural resources management and energy efficiency. In 2005, Huatulco earned Green Globe International Certification for sustainable tourism. This prestigious award honors those locations that have exceeded environmental benchmarks such as energy efficiency, waste management and water usage. 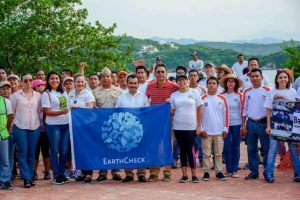 Also, in 2018, for the fourth year in a row, Huatulco received the EarthCheck Platinum Certification. 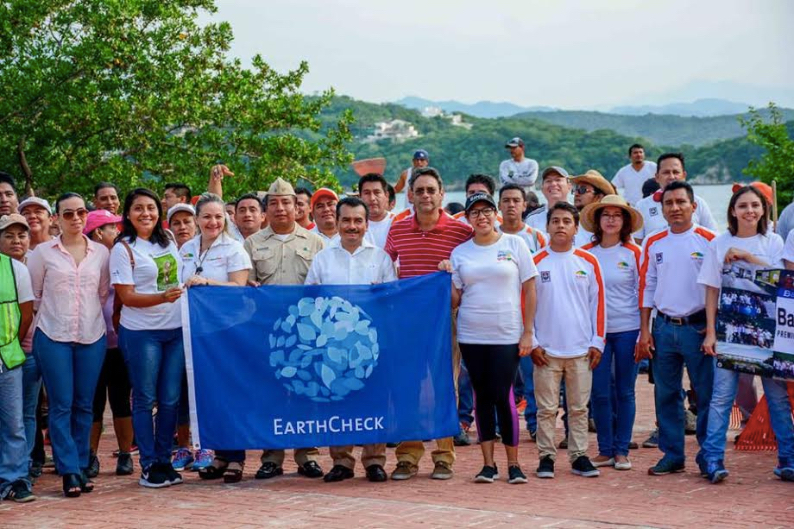 Huatulco was the first community in the Americas – and the third in the world – to receive the Earth Check Gold designation. And we just keep getting better! Despite the number of tourists who soak up the sunshine each year, Huatulco continues to maintain its quaint village charm. You can walk along the streets, shop amongst the many open-air markets and kiosks and dine at various taco stands and upscale restaurants without worry. Locals invite you to relax in the ease of Huatulco’s colorful community by joining an array of social groups and become a welcomed community member. Some expats even choose to open a business while they’re here. A general rule of thumb when investing in real estate is to look at who’s already established in the community or who’s coming into the area. In the case of big name developers such as the Holiday Inn, Secrets and Riu, Huatulco Mexico is the place to be. These key players in the travel and tourism industry have already committed to opening the doors to their newest luxury resorts. But it isn’t about tossing up row after row of high rise condos, hotels and resorts. The Mexican government has learned from its past development issues. 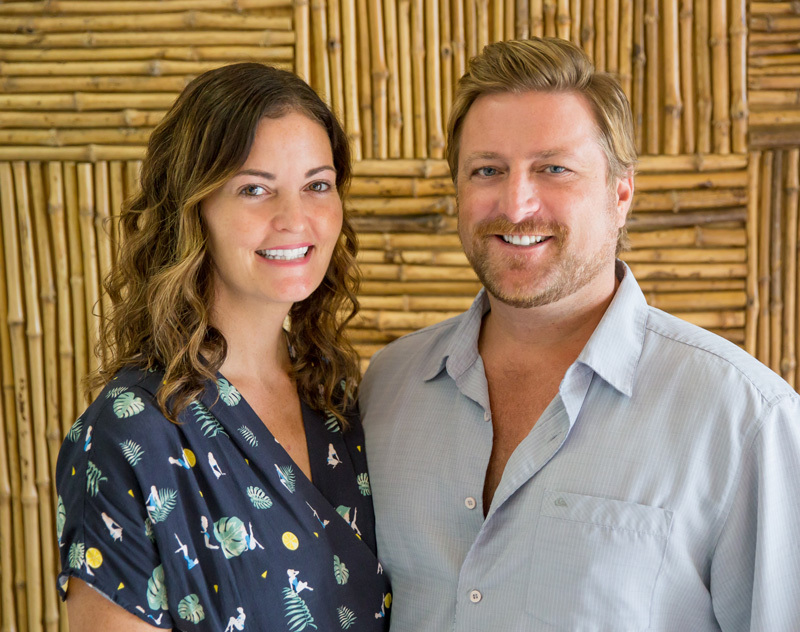 They have vowed to maintain the integrity of the community and its natural environment by working with developers of all sizes to ensure the beaches remain untouched by debris and the ocean waters maintain their crystal clear luster. Sure. Tourists, hotels and resorts are located in Huatulco, but they are not bunched-up, defacing the picturesque scenery. Residents often head for the less traveled beaches – and there are many – to enjoy powdery soft sands of Huatulco’s beaches, the clear turquoise waves, striking cliffs and dense forest. And don’t worry about dodging time share salespeople or obstinate vendors. You can still enjoy a pester-free day in the natural amenities of the area. 7. Butterflies, Starfish and Coral – Oh My! Because of the rich surroundings of Huatulco, there are endless opportunities to see – and photograph – the wildlife. If you’re above the water, be sure to visit El Chelo where butterflies and tropical birds of endless varieties assemble. Below the water’s surface is an underground playground of starfish, sponges, snails, urchins, octopus and coral await. Unlike other real estate hot spots in Mexico, Huatulco is fairly new with construction starting in 1983. It offers so much of what investors are looking for, including proximity to small villages and thriving metropolises. If quaint and inexpensive is the order of the day, head for Puerto Angel and Mazunte. These communities are great for a day trip. Or you could jump in the car for a 90-mile drive up the coast to Puerto Escondido for a day of discovery, surfing and dining out. But if it’s a thriving energy you seek, board on a plane for a 20-minute flight to Oaxaca City, the traditional Spanish colonial city with large cathedrals, shopping centers, theaters and museums. For an hour-long flight you can go to Mexico City, the ideal place in Mexico to fill up on bright lights and big city adventures. From an investment perspective, Huatulco is a real estate gold mine. Prices are low, value is high and the amenities are modern. State-of-the-art infrastructure improvements make it easier than ever to get around for daily chores or entertainment. Pop into the bank, pick up your dry cleaning, stop by the doctor’s office for a check-up and then head to the beach – all by 2:00 pm. And it’s this type of convenience that you’ll want for you and your loved ones while staying or living in paradise. If you’re ready to take advantage of the real estate opportunities in Huatulco, contact us today. We’ll help you turn your dream into a reality. Whether you want an elegant hacienda or a beachfront bungalow in a sustainable community, investing in the perfect Huatulco property is an exhilarating adventure. Thanks to Mexican legislation, foreigners are free to invest in property. This means that you can have your dream home in what we believe is the best tropical paradise in the world – Huatulco Mexico! But before you throw a house-warming party, start your investment property process with proper due diligence. This simply means “doing your homework” BEFORE signing the contract and handing over the money. Due diligence is all about being aware of the structural, environmental, financial and legal risks. Here at Own Mexico, we’ve made it easy to fulfill your due diligence obligations. On Your Mark – Be sure you have the time, energy, resources and patience to start and finish this process. Investing in property isn’t for the faint of heart, but the payoff is well worth the blood, sweat and tears. Shop Around – Get to know the real estate market in your chosen area. Check out the price range, homeowners associations and amenities that could be available to you. Talk with home owners in the area. Ask them questions about the utilities, comings and goings of neighbors and if there were issues with the builders. Getting a full picture of what you’re buying into will give you added insight when making your final purchase. Check Out a Sustainable Community – More and more buyers are investing in sustainable community properties. Huatulco Mexico is one such community. This means that the “environmental footprints” of construction and utilities less impactful and more up-to-date. Sure, a sustainable community dream home may cost a little more, but you’ll be much happier in the long run. Explore Your Surroundings – Find out if there are construction plans meant for your neighborhood. Will a new highway be going through your quiet residential area? Will a shopping mall be opening down the street? These elements can either add – or subtract – from the value of your investment property. Look at the Title History – The history of your dream home could greatly affect your real estate investment. Be thorough as some home owners have discovered only AFTER their purchase that litigation against their Huatulco property is pending. A title insurance company agent and lawyer can help you look at the property’s plat, title easements and Huatulco property encumbrances. Do the Math – Hire a third-party appraiser for an estimate on the property value. Then compare it to other real estate opportunities to make sure your investment property decision is sound. Inspect the Property – It’s common to hire a licensed, professional inspector to review the structural integrity of your possible purchase. We also recommend going along for the inspection. Keep your eyes out for water damage, mold and electrical problems. If you can’t be there, be sure to thoroughly review the inspector’s comments. Count the Repair Cost – This process can be tricky when investing in property. Some “professionals” are not what they seem. Be sure to get at least 3 or 4 referrals from trusted sources before you have someone repair your property. Also count on some surprises. You’ll be best served to have some money in reserve for any unforeseen repairs. Inquire about Insurance – Talk with a number of insurance companies to find out how much natural disaster insurance would cost. Hurricanes and floods – they can destroy your dream home in seconds. 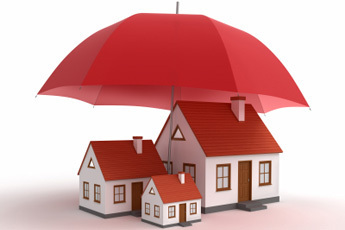 Safeguard your investment property, but be sure to include this additional coverage in your long-term budget. Secure Financing – There are plenty of expat home owners in the area who will refer you to – or warn you away from – mortgage companies in your desired community. Companies such as ours can help you find the best options for you and your budget. history on file. Were the previous owners current with their dues? If not, you could be responsible for paying these fees and any interest. Buying real estate is an investment in your future, one that is worthy of your time and effort. Here at Own Mexico, we’ll guide you through every step of your due diligence process. From checking out the market to signing on the dotted line, we’ll make sure you enjoy a safe and rewarding buying experience in the sustainable community of Huatulco Mexico. Contact us today and learn more about our full range of Huatulco property dream homes. And stay tuned for other helpful articles for investing in Mexico. 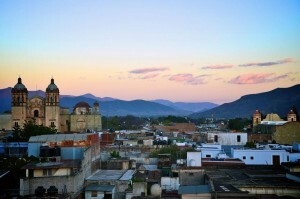 If you are considering living simple, while taking pleasure in excellent rental revenue, Oaxaca coast in Mexico, presents an outstanding Mexican retirement standard of living for all age groups, whereas as well offering ground-breaking aspects for you to take pleasure in rental revenue from your land when you are not making use of it. Whether it is someone running to Mexico just for the winters, a mother hoping for a dynamic, secure population or a young financier in search of the latest tendencies growing in the real estate market, Oaxaca rental plan will be tempting for you. 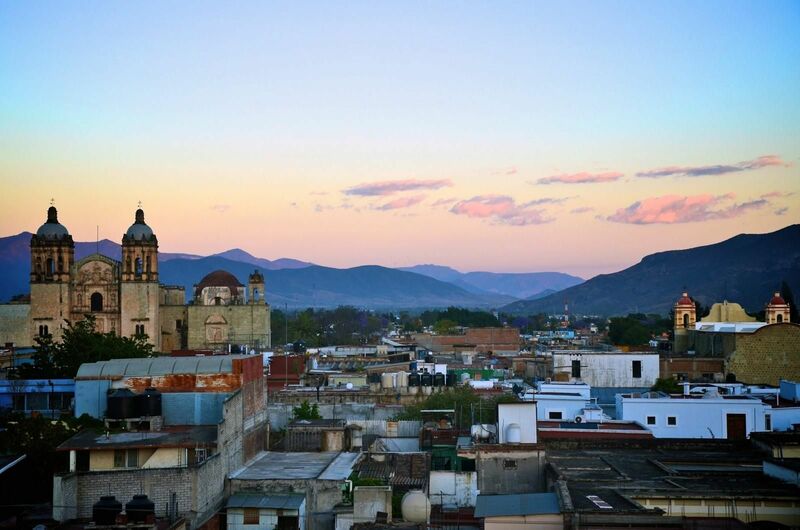 Oaxaca communities are designed for soothe of life – a “Mexican retirement way of life” for all age groups. From swimming pools and green gardens to a clubhouse which has card tables, an electronic library and billiards, you will have a lot of activities to take pleasure in the community itself. A gatekeeper, and environment-responsive transport service, and a tour group will as well make it uncomplicated to use all of the gains in and close to the Oaxaca, counting the gorgeous beaches, marinas, golf courses, colonial cities and shopping. This is just a tiny rundown of what this well-designed Oaxaca community presents. Like a Mexican retirement community for all people, it will make life extremely relaxing and expedient. It will as well be an attraction for sightseers in search of a well-priced leasing option to a lodge, which offers significantly more. The developer has designed an exclusive online leasing portal which will permit you to handle your leasing revenue from everywhere in the planet. You will have full control devoid of having to make more tours down to Mexico. A research using competitive leasing fees confirms that with 20 to 30 days of hire you can have encouraging cash flow from your venture. Low condo charges are part of what will permit you to accomplish this. The well-located spot, tiny community size, exceptional design and extremely comprehensive set of services will as well be a strong attraction to travelers. Whereas very few alternatives present the combinations of advantages by now highlighted, no other is this near to home. Retirees can go to Canada or the U.S. with a simple, direct trip that can be as short as two hours, as and not at all more than five, from the farthest the Yucatan to as far away as Vancouver or Edmonton and Seattle. A lot of Americans, and even a few Canadians who adore a excellent road tour, go by car, with novel, clean and secure freeways along the way, taking pleasure in the journey as a calming part of their retreat. No other retreat destination permits this alternative. Whether you have stopped working or not, purchasing land in Oaxaca will assist you take pleasure in a Mexican retirement standard of living in two approaches; one is through offering a calming neighborhood with a lot of services accessible. The other is through offering you an investment revenue, permitting you to take pleasure in a relaxed way of life sooner rather than later. Owning property in Huatulco, Mexico is very easy. Once you have found your perfect property, there are a few steps to follow before you become the owner. By accumulating some information and listening to good advice, you can buy and secure property in Huatulco property in less than 60 days. The second way less common, but often practiced by the Mexicans, is when the seller asks that the money goes directly to him / her. You will have to sign a document describing the details of the transaction in these cases in the presence of a notary public for the safety of both parties involved in the transaction. The notary is the highest placed hierarchically in these situations, and they check no obstacle disturbs the sale of the property. It is essential to hire a lawyer in order to complete the purchase of the property in Huatulco. The attorney will be a third party acting in your best interest until the final purchase. They will be there to review the conditions, identify problems; offer you counselling, formalize the transaction and so on. When you hire a lawyer, you should check whether sworn by the United States of Mexico. Lawyers registered in other countries are not allowed to practice Mexican law unless they have completed all prerequisites premises. Signing the contract will happen in front of a notary public. Just before that, the remaining amount of money should be deposited. 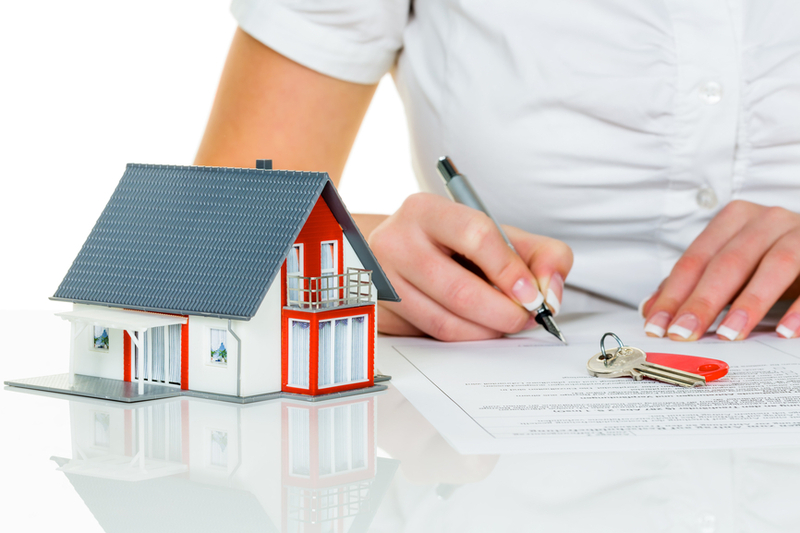 With the certificate and the signature of the contract, the amount is transferred to the seller and the property to the buyer. Most often the buyer pays the closing costs including taxes acquisition, notary fees, and other expenses. This is somewhere between 4-5% of the capital gain of the property, without forgetting the cost established by fideicomiso or corporation. Normally, the estimated value is less than the actual sale price. A bank trust (fideicomiso) is a legal instrument issued by the Mexican Government that allows non-Mexican to acquire properties in the “Restricted Zone” (the limit of 62 miles from the border and 31 miles from the coast). This legal mechanism is established by a bank and permits foreign investors to buy and sell. It ensures their investment by granting them the same rights and obligations of a Mexican citizen. Fideicomiso beneficiaries have the right to use, lease, inherit, and sell the property to anyone buyer. A Fideicomiso is established for a period of 50 years, and it is renewable at any time. The implementation of the Fideicomiso is simple and should take you four complete weeks. Financing is available for property with certain foreign private lending institutions. Scotiabank also grants a credit to the Americans and Canadians up to age 15 and 75% of the value of the property. If you want to know the best financing for your property, the best thing to do is talk with a financial specialist who will be able to offer you the guidance you need when it comes to investing in Huatulco property for sale. 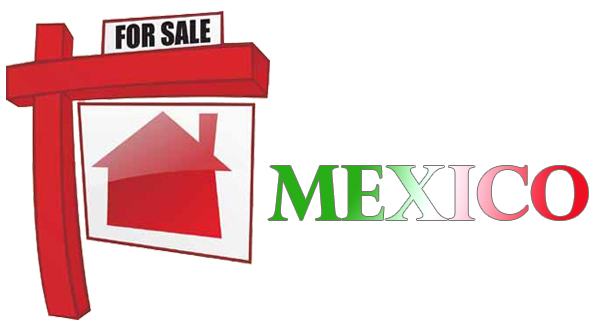 When looking for Property for sale in Mexico, people at all times ask as regards a similar issue, “Can the government cart off your property”. Coincidentally, possession plans for landed property in Mexico have developed. Mexico currently embraces overseas financiers and second-home holders who would like to obtain Mexican real estate. However, those who get started to buy property in Mexico, very fast are faced with diverse kinds of land to buy. And a lot of global purchasers end up wishing they had carried out some research prior to placing a deposit. Some of the main kinds of Mexico property for sale you can get are the unrestricted region, the restricted region, and Ejido property. The Restricted region is the primary land that the majority of global purchasers are after. This is property that is over 66 feet outside the mean elevated tide line and equal to 32 miles clear of the main seas, and 64 miles from global borders. U.S. nationals, and other non-Mexican citizens, are purchasing this properties by means of an instrument known as “fideicomiso,” additionally accepted as a bank trust. This bank trust is a reality for global purchasers of Mexican property. It offers the non-Mexican holder of Mexican property the power they require to manage their land acquisition. Mexican citizens do not make use of fideicomisos to purchase Mexico properties, since the restricted region is not limited to them. They purchase land by means of a legal document known an “escritura publica.” hence while looking to purchase Mexican property, you will be purchasing from somebody that has either an escritura publica, or a fideicomiso. A remark of concern is that if somebody quotes you a piece of coast front land; ensure that no piece of that land is Federal Land. The Unrestricted region is the local area of Mexico that is more than 32 miles outside the marines, and more than 64 miles outside the global borders. If you are a U.S. national you do not require paying the fideicomiso set-up charge to buy this property. The Unrestricted region permits outsiders to possess land with an escritura publica similar to a Mexican national. The San Miguel de Allende, colonial states of Taxco, Guanajuato, and Oaxaca coast in Mexico are in this region. All these states are the Spanish colonial jewels of the Americans, and most of their business districts are national parks. The Ejido land is public land. 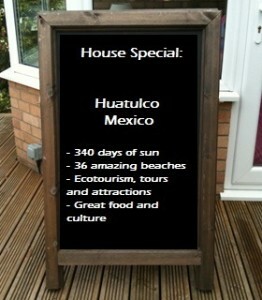 Do not purchase this property except if you are a Mexican property professional and truly recognize the facts. This property is less attractive since a clear title is tricky to obtain, and at times never comes. Ejido property is a lot of times presented on sale from developers making guarantees that at some point, three to eight years, the property will be legalized for a clear title. Legalization of Ejido property is a prolonged lawful procedure that is not at all times attained. Not just that, financial institutions do not provide fideicomisos on Ejido property. Hence the single method to control Ejido Mexico property for sale for a non-Mexican citizen is through creating a Mexican firm. You know when your car (or any other piece of equipment) breaks down and you talk to a neighbour who’s quick to say, “I’ve got a guy. Here’s his number”. Well, we’ve all contacted those guys, and sometimes it’s a bust, but sometimes, the guy (or gal, because there are some pretty amazing go-to gals out there) really comes through. Here at Own Mexico, we are that guy and gal. Our passion is to share our experiences and know-how to help you realize your dream of owning real estate in one of the best places on earth, Huatulco Mexico! But before we talk more about that, we want to offer up our tips for The “I’ve Got a Guy” approach to Huatulco real estate. We’re not saying it’s impossible to buy a home in Mexico. Quite the opposite really. But what we are saying is that it’s different than buying a home in Canada or the U.S. You need to have someone in whom you trust to have your back through the challenges of the Huatulco real estate process. But rest assured, plenty of people from all over the world have purchased property here. They’ve all gone through the steps and learned the lessons. Some have shared their experiences – both good and bad – and so now, investors like you can skip the challenges and move right on to real estate success! Here in Mexico, you have to be prepared for the real estate investment process to take time, sometimes lots of time to get more bang for your buck with Huatulco real estate investments. Good things will come to those who wait. Owning in Huatulco Mexico isn’t for everyone, but if you’re ready mentally, financially and have all of the answers to your most important questions, then we say “go for it”. Whether you work with us here at Own Mexico or you work with a referral, we recommend going with someone who either lives here or who has purchased Huatulco real estate recently. Why? Because he or she will be knowledgeable about the various processes from start to finish. You also want someone who is fluent in Spanish. This person will deal with the either be a real estate agent or coordinate the activities for the other real estate agents, attorneys and specialists dealing with trusts, titles, insurance, utilities and obtaining any needed FM3's. This person will be especially helpful if you cannot be in Huatulco during the transactions. 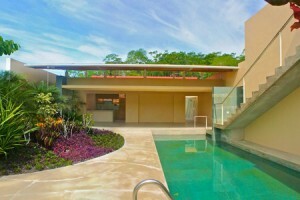 You will need a well-reputed, experienced real estate agent who can handle the varied details of Huatulco real estate. Look for someone who isn’t just into making the sale and who doesn’t apply sales pressure. He or she should be laidback, eager to help and willing to work with you during and after the sale. You also need an agent who is not only knowledgeable about Huatulco real estate, but who is up-to-date on upcoming developments. (You may find these to be more appealing.) That person should be willing to tour you around the whole area, showing you potential properties that fulfill your requirements. Once you have the name and number of your contact guy or gal, be sure to check their records and references. Follow up with any Huatulco Mexico based friends to find out what they know about this individual. Any input is welcomed at this point. Once you have a property in mind, be sure to check if it has any issues, such as delinquent payments or regular break-ins. The results could play into your final decision. On the other hand, the real estate option may be in a gated community with security guards working 24/7. While this gives a sense of security, it will add to your expenses as a home owner. If you’re thinking about purchasing Huatulco real estate and need a guy or gal, contact us today. We’d be happy to share our experiences with you and get you well on your way to joining us in this wonderful Huatulco Mexico community. The Huatulco Real Estate market continues to move forward with planned and strategic growth. Designed and maintained in pristine conditions by FONATUR (a branch of the federal government), many say that Huatulco is assured for nothing less than SUCCESS. After years of slow and steady growth the Huatulco Real Estate market is best compared to “the little engine that could”. The winter season started slow and steady. Being Huatulco is dominated by Canadians and many properties are offered in American dollars it seemed Canadians were not buying as much as previous years possibly because of the exchange difference between the USD and CAD. Some also blame low oil prices and the uncertainty caused by the US elections and new U.S. president. As a result, many developers offered incentives and motivated SELLERS offered up reduced prices. BUYERS who were cash loaded capitalized and picked off one amazing deal after another. We saw the pre-sale success story BARLOVENTO release one 3 bedroom oceanfront condo back onto the market only to be sold again within a matter of hours. The 2nd quarter of the winter season from January 1st to March 31st saw much of the same, savvy investor BUYERS, many of whom subscribe to the Own Mexico Investors Club, picking off great deals at mostly $300,000USD and under. Cosmo Residences saw 4 sales all over $300,000 as it remains a top resort destination and rental revenue generator. In addition, single family homes such as the Bocana House and the beautiful 3 bedroom ocean view home in Arrocito sold for under $500,000USD. By the later part of the 2nd quarter of the winter sales season it was noticeable that the market had picked up. Lot and land inquiries as well as sales increased to impressive levels, a great sign for future construction and development. By the time April to June hit the market became very active, more so than the winter months, and continued that way through the summer to the end of September. The success of AGAVES, a new pre-sale development in Chahue that is currently over 90% sold out, was prevalent. Only 1 of 12 units remain available just months after launching their pre-construction prices on the market. Marina Park Plaza saw a over 6 condos sell with only a few remaining in inventory. Oceanside Cruz Del Mar saw a private sale get swept up alongside all the remaining developer inventory in Building C. Over the summer a new pre-construction development ELEVEN by Cosmo was launched with prices ranging from $319,000USD to $529,000USD. Out of the first 6 residences being constructed 1 has already sold and another is under contract. Land inquiries continued to rise from lots to large development land. As we look toward the upcoming season it is expected that the momentum from spring and summer will continue into the winter season with the Canadian dollar improving drastically and an increased amount of Americanos discovering the hidden gem of Huatulco, Mexico. In addition, the consistent high quality and projected upcoming infrastructure, such as the new super highway, hotels and additional direct flights, remain a big draw for investors interested in the area. At this point the Huatulco real estate market is still considered a BUYERS market, but the question is ‘for how long?’ With presale success stories such as BARLOVENTO and AGAVES as well as the past success stories of Oceanside Cruz Del Mar, Cosmo and Punta Arrocito, it is obvious more people are choosing Huatulco for a better quality of life. The ideal climate, commitment to the environment and general cleanliness, world class infrastructure, laid-back vibe and of course the low oceanfront real estate prices is unparalleled. This chart compares two developments in Playa Del Carmen both of which have only a street view in comparison to the ocean view of AGAVES. 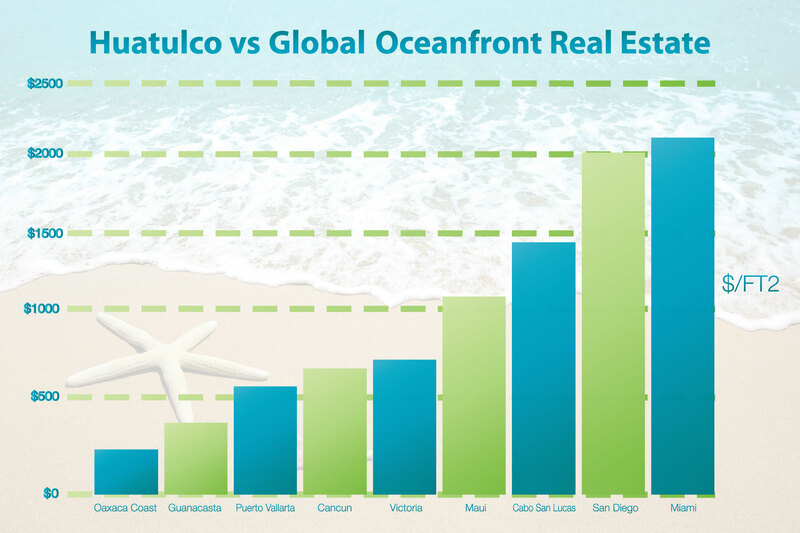 This is just one example of the investment reality in Huatulco. As the 2017/2018 winter season starts keep your eyes on 9 BAHIAS as they are building a new beach club, have a new show suite opening in October 15th and are hosting a Huatulco Real Estate Stay & Play. The newly launched ELEVEN by Cosmo is expected to sell quickly and Viewpoint at Puerto Angel has the best dramatic oceanfront value in Oaxaca starting as low as $112USD/ft2. Bayside Real Estate Huatulco continues to lead the market with sales, listings and overall collaboration with other real estate firms in Huatulco. We have many private listings, exclusive penthouses as well as rare lots, land and luxury villas for sale. If you are looking for an exclusive luxury property or piece of land and are not finding what you are looking for make sure register for our OFF MARKET LISTINGS. We have select properties that will not be seen advertised anywhere. The Bayside Real Estate team looks forward to hosting you in Huatulco. As you prepare for the winter season we leave you our Insider Tips To Buying A New Home We are a one-stop shop offering vacation rentals, property management and listings from $49,000 to $4M USD.